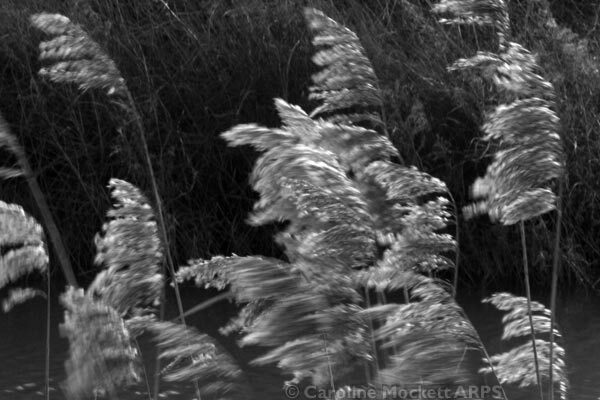 Notes: I found these Pampas Grasses near a set of ponds between Handley Barns and Dawes Farm, during my 4.5 mile walk around Mill Green, and I deliberately chose 1/30th shutter speed when taking the image, to show the grasses blowing about in the breeze. But I was struggling with the light today – there was only weak sunlight and thin, high cloud which meant things looked OK in reality, but as soon as a scene was committed to the camera, everything looked pale and washed out, with little contrast. Some fiddling with Photoshop has helped.